The Smog Check Program divides the State into three areas determined by the air quality in the designated area. While the OBD II focused inspection is required statewide for most 2000 model-year and newer vehicles, 1976-1999 model-year vehicles may receive a different inspection, depending on program area. Generally, the area in which a station is located determines the station license types and the station equipment requirements. A Smog Check is required in all program areas when an affected vehicle changes ownership, with the exception of gasoline vehicles four or less model-years old. 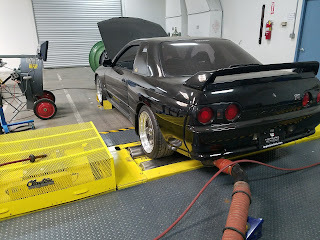 A Smog Check is also required in all areas when a vehicle is initially registered in California. The ZIP Code locator can be used to determine your Smog Check area. The Smog Check Program Area Map provides a view of the California Smog Check Program areas. Enhanced Areas: These areas do not meet federal or state air quality standards for ozone and carbon monoxide. Biennial Smog Check inspections are required in these areas, in addition to the change of ownership and initial registration inspection requirement. Additionally, a portion of the vehicles in Enhanced Areas must receive their biennial Smog Check at a STAR station. In order to measure NOx emissions, specified model-year vehicles in Enhanced Area are subject to an ASM (Acceleration Simulation Mode) emissions test. Basic Areas: Basic areas are less polluted then Enhanced Areas; however, due to their marginal air quality, biennial inspections are required. Specified model-year vehicles in Basic Areas require a Smog Check every two years during their registration renewal with DMV. Vehicles registered in a Basic Area must receive a TSI (Two Speed Idle) Smog Check. Change of Ownership Areas: These more rural areas of the state require Smog Check certification only when an affected vehicle changes ownership (with the exception of gasoline vehicles four or less model-years old), or is initially registered in California. Vehicles within specified model-years registered in the Change of Ownership Areas are subject to Smog Check only upon change of ownership or initial registration in California. Vehicles registered in this area must receive a TSI (Two Speed Idle) Smog Check.